Here's how to defeat the Divine Dragon in Sekiro: Shadows Die Twice. 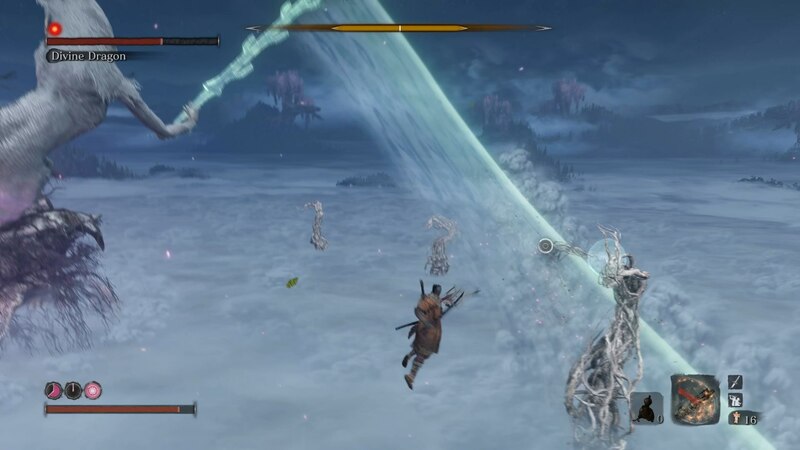 The Divine Dragon fight might not be one of the tougher bosses in Sekiro, but it's easy to get caught out by a few simple tricks. 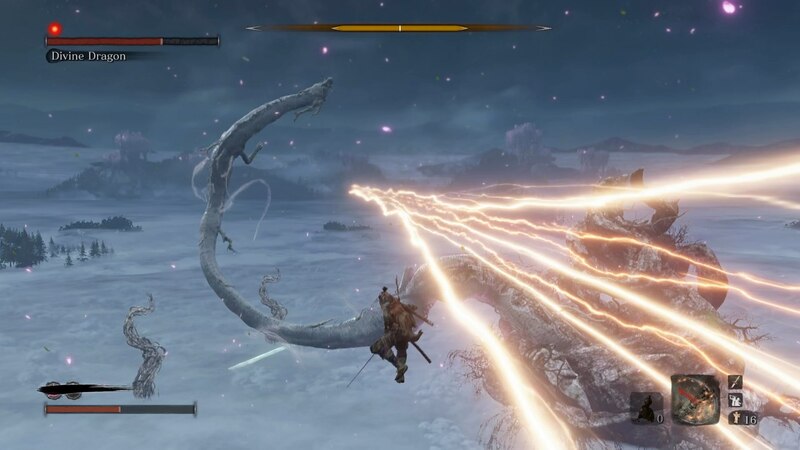 In our Sekiro Divine Dragon boss guide, we'll be providing you with all the information you need on how to beat the Divine Dragon in Sekiro as easily as possible. Before we go any further into this guide on the Divine Dragon, we'll be taking you through some of the more essential tips you need to know for this boss fight. When the fight starts, bounce around the mini dragons, taking them out with ease. Hop up onto the branch with your grappling hook, and perform a Deathblow from above. Facing the true Divine Dragon, hop repeatedly from tree branch to branch. Absorb the lighting when it hits a tree branch, then throw it back at the dragon while you're airborne. 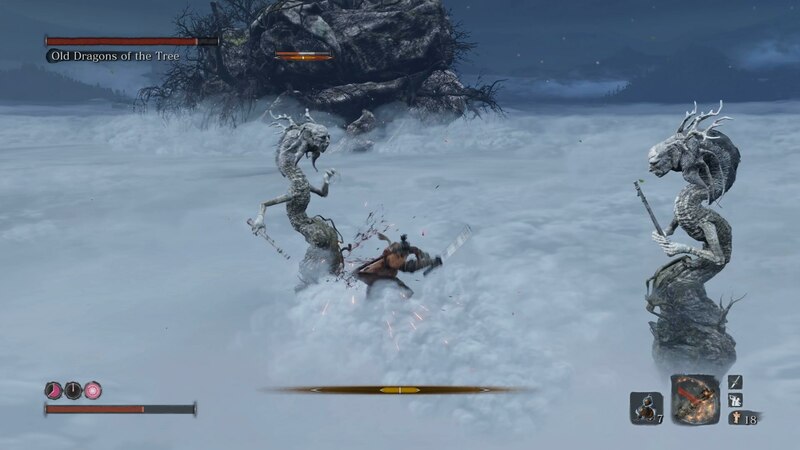 The Divine Dragon fight occurs right near the end of Shadows Die Twice, and you'll only get to see it if you rejected Owl earlier in the game at Ashina Castle. To begin this fight against the Divine Dragon, go up the stairs from the Sanctuary Idol, and select the option to pray within the cave. You'll now be transported to the divine realm. At the beginning of the fight against the Divine Dragon, there'll be a bunch of smaller dragons. Well, they look like worms with human faces, but we'll give them the benefit of the doubt and call them dragons. But this isn't the only phase of the fight (because that would be very underwhelming). Just below, we'll break down the two key phases of the entire Divine Dragon boss fight. So you're surrounded by mini dragons for the first phase. The temptation here is to just go ham and start flailing around wildly, but resist this urge because the smaller dragons actually spew poison onto the battlefield, meaning your health can get quickly whittled down if you're not careful. It's a good idea to have the Breath of Life: Light ability unlocked for this stage of the Divine Dragon fight, because it'll heal you whenever you land a Deathblow attack on any of the small dragons. And believe us, there's going to be plenty of those. If you see movement on the ground in the shape of a circle, move away quickly. A giant branch is about to shoot up out of the ground in this area. But, you can then grapple to the top of this branch and jump off it, for a guaranteed Deathblow kill on a poor dragon below. Phase two of the Divine Dragon is where things get tricky. 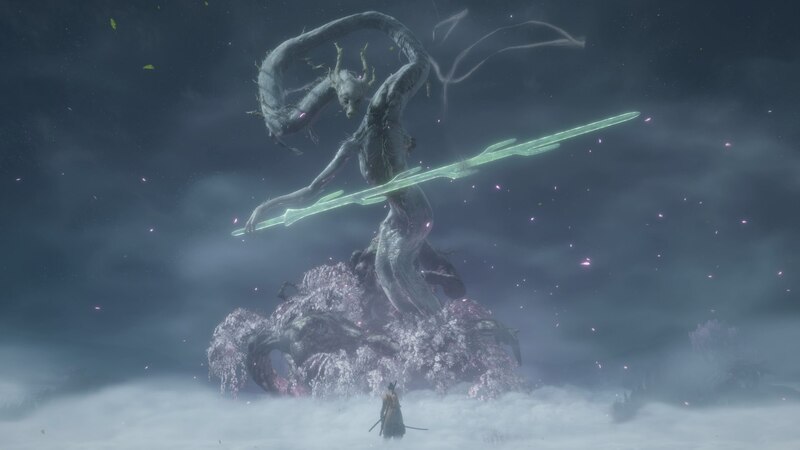 There are six branches spread out in front of the gigantic Divine Dragon, and it's your job to keep moving between these branches to dodge the sweeping sword attacks of the boss. Occasionally, you'll see a bolt of lightning above one of the branches. Grapple onto this branch, and you'll get struck by lightning. Before you hit the ground, quickly lock onto the boss and press attack, so you shoot a giant bolt of lightning straight at the Divine Dragon. When you've got the Divine Dragon down to barely any health, the tree branches will vanish. You'll now be on the ground, and you're going to have to deflect all the attacks that the Divine Dragon sends you way. The goal of this stage is to outlast the Divine Dragon's attacks. Once you've lasted long enough, staying alive by dodging or deflecting, the tree branches will rise up once again from the ground. You basically need to repeat this method repeatedly, until you've either reduced the health bar of the Divine Dragon to zero, or you've maxed out their Posture meter. If it's more Shadows Die Twice coverage you're after here at USG, then we've got you sorted. 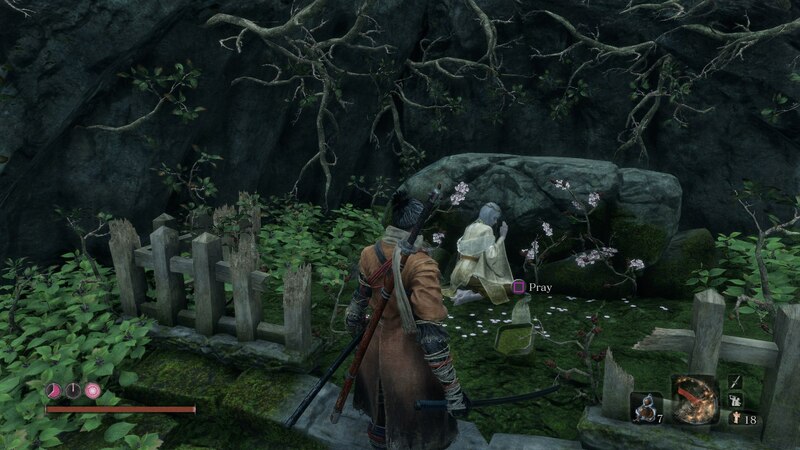 You can check out our pages on Sekiro Prosthetic Attachments, Sekiro Dragonrot cure, how to parry in Sekiro, How to Save in Sekiro, Sekiro Terror Status, Sekiro Healing Gourd, Sekiro Skill Trees, and Sekiro Prayer Beads. We've also got boss guides for the Sekiro Snake, Sekiro Gyoubu Oniwa, Sekiro Armored Warrior, Sekiro Ashina Elite Jinsuke Saze, Sekiro Snake Eyes Shirafuji, Sekiro Long-Arm Centipede Giraffe, Sekiro Genichiro Ashina, Sekiro Lady Butterfly, Sekiro's Demon of Hatred, Sekiro Corrupted Monk Sekiro Headless bosses, and Sekiro Great Shinobi Owl. We've also got a look at if Sekiro is better on Xbox One or PS4, as well as our full Sekiro boss rankings. Tagged with Action,	fromsoftware,	Guides,	PC,	PlayStation 4,	Stealth Action,	Xbox One. 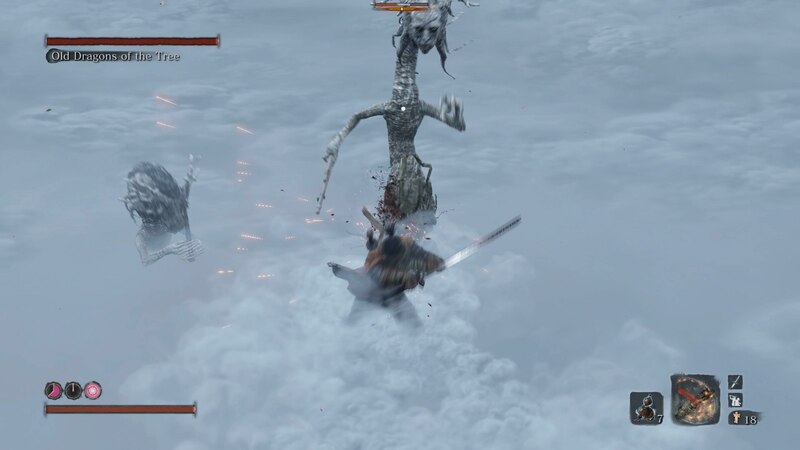 Our not definitive but still controversial boss rankings for Sekiro: Shadows Die Twice, plus boss guides for each enemy.